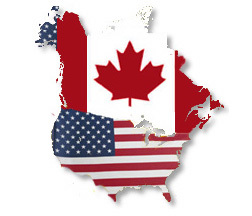 Our Tax Partners have over 40 years combined experience dealing with Canadian provincial and federal sales taxes. Their entire working careers have been devoted to issues involved with commodity taxation. Over the years they have provided a complete range of commodity tax services to hundreds of organizations both large and small. David Smith’s career in commodity taxation started in 1986 with The Ontario Ministry of Finance. During three years with Finance, David held various positions in the Sales Tax Refunds and Audit Groups of The Retail Sales Tax Branch. In 1989, David left Finance to join one of Canada’s largest newspaper and business communication companies as a commodity tax specialist. Providing support to business groups across Canada, his extensive experience in dealing with government authorities and tax legislation ensured this organization maintained a high level of compliance while minimizing sales tax expenses. Prior to forming Smith Thimm & Associates, David was employed by a sales tax consulting firm where he focused on identifying sales tax refund opportunities. He completed tax reviews for hundreds of organizations including many of North America’s largest companies and recovered millions of dollars of sales tax overpayments. Shaun is a Chartered Accountant who began his sales tax career with a major national accounting firm. For several years he developed a commodity tax practice providing consulting services to a broad range of companies dealing with the complexities of federal and provincial sales tax legislation. During the implementation phase of G.S.T., Shaun instructed seminars and gave many client presentations in this area. Before the creation of Smith Thimm & Associates, Shaun performed over 500 sales tax reviews as a sales tax consultant for an independent firm. He recovered millions of dollars of overpaid sales taxes and has a keen understanding of the complex sales tax issues facing a wide range of business organizations.